Fuzzy Feet Done. 'Want more, more, more! 2 Posts in One Day. I've been tagged again! I got tagged by the MEME Fairy, Erin!!!! It occurs to me that maybe I put pictures of my found family on my blog, and maybe not. I have a pic way back in my archives of the reunion two years ago, but I was telling a friend about this picture. 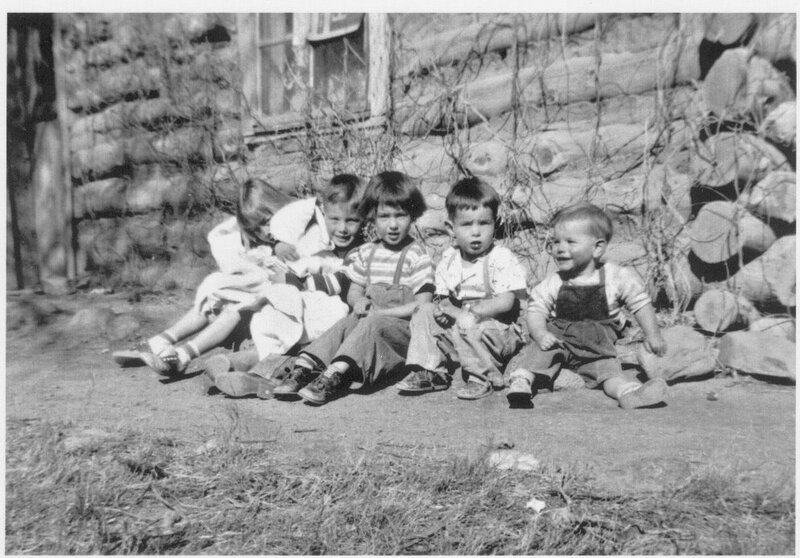 So in chronological order: Della, Herb, Dovie, Danny, Frank (or Frank & Danny), and the babies are my brother, Joe and me. 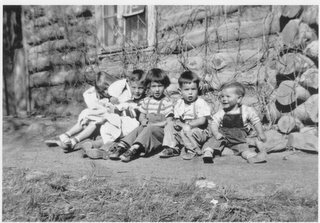 This was taken in early 1953(we were about 6 weeks old when adopted) outside Grandma and Grandpa Boone's homestead in Quemado.